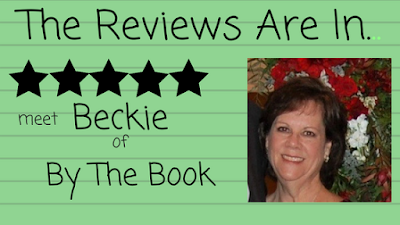 Meet Book Blogger Beckie from By The Book! Thanks for agreeing to be my guest, Beckie! Especially after I asked you for your answers and hadn’t actually sent you the questions! Debra asks-- How long have you been reviewing, and how did you decide on the theme for your blog? Beckie answers-- I started blogging about books in 2009 as part of the library ministry at my former church. I thought it would be a great way to introduce church members to what was available in the library. When I found out I could get free books for the library by taking part in review programs and tours, I jumped at the chance. My first reviews are a bit embarrassing, but hopefully I’ve grown since then. ;) My blog’s name, By The Book, is the name of my book club that started in 2002. When I switched from being the church library blog to a personal blog, I thought that the name was fitting. D- The good thing is that authors like reviews, and understand being ‘our worst critics’, so we all look back and may want to cringe, but it's good to see improvements in your reviewing. Most importantly, just know that even your first efforts were appreciated! This is Beckie, by the pond, not by the book! (Enjoying their getaway place in GA). B- There are so many perks to being a reviewer — access to authors, “inside” info from publishers, and books, books, books galore! But honestly the best part is being a part of a wonderful community of book lovers, specifically Christian fiction lovers. They care about books, yes, but the emphasis on sharing God’s love is something truly special. I view this blogging gig as a ministry, and I have been touched by how “story” reaches people where they are. D- Yes, and I’m glad to see that there’s more opportunity for authors to present a wide variety of stories to reach people. Now there’s fantasy and SciFi and stories with controversial subjects that would never have been available even ten years ago. B- Saying no to books! LOL! I have had to curtail my reviewing because of life. I want to say yes to the many book offers that make their way into my email, but it is just not possible to read all the books out there. D- I really can’t imagine how bloggers read as many as they do! At least when I hoard books, I’m not obligated to get them read in the next ten years! What was the last book you read that you couldn’t put down? D- You are certainly not alone. 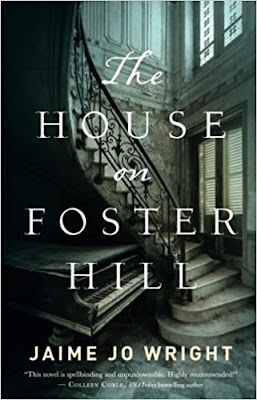 I’m really eager to get to this one because it’s so close to my favorite genre’ (which I used to call historical romantic suspense with a gothicy feel. B- For years I followed my kids around to soccer games and swim meets. My daughter played soccer in college, so while the nest was emptying, I was still able to show up on campus without anyone thinking it was weird. Now the nest is completely empty and no grandkids have come along . . . yet. 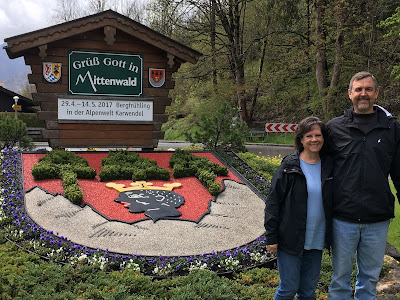 So my husband and I have started to travel. And we have a cabin in the North Georgia mountains where we escape. D- ooh, that sounds nice! I, too, had the years of kids-playing-sports. Many years. And now the grandkids are at it. Enjoy the break! Haha! Don't you love this Burnham Family wedding rehearsal photo? Beckie, what is your fiction favorite…setting? Place and time? Genre’? B- I have been a mystery and suspense fan since my Nancy Drew days. I love to try to figure out whodunit along with the sleuth. Setting and time period don’t matter. Just give me a good mystery! What person from history would you most like to text with? B- I guess I will be a bit cliche and pick Jane Austen. While she didn’t write mysteries, unless you count Northanger Abbey, Jane has always fascinated me. I would love to know the goings on in her family and life. D- Hmmm, have you heard about Alarmingly Charming? Okay I really have to stop teasing. And while Jane Austen may not be a novel choice (as in not-cliché), I’m sure she’s going to be at the top of the answer list for this question! If you had a rainy afternoon alone to watch a movie what would it be? And what meal would you have delivered if that afternoon included a quiet evening as well? I’m paying with my virtual bank account! B- I may be kind of a cheap date for you! 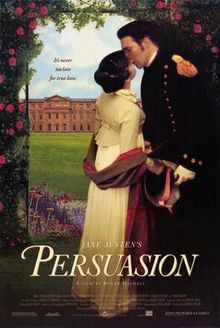 I would probably watch Persuasion — the version with Ciaran Hinds. That is my favorite of all Austen’s works. And although I am on a diet, I will have you spring for some Chinese food — Happy Family with fried rice and an egg roll sounds good. Deb could be persuaded to be a bit jealous! D- yes. Really cheap date because I own that particular version of Persuasion too. While Rupert Penry-Jones wowed me when he walked on screen as Capt. Wentworth, there’s a compelling mix of power and gentleness in Ciaran Hinds’ portrayal. That’s just such an awesome production! I hold my breath during that note scene –as if I don’t know what’s coming! B- Since my day job is keeping the books for my husband’s business, I’d better say I already have the dream job. 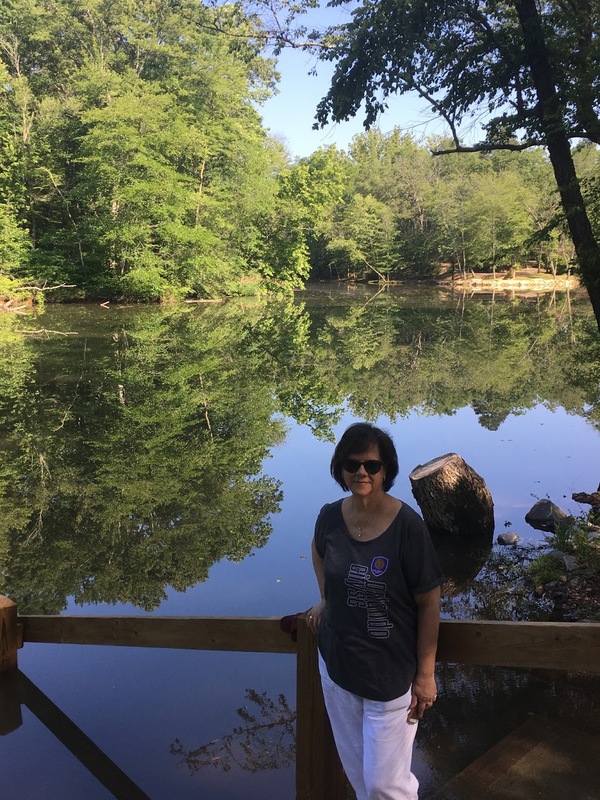 I’m inching up towards retirement, so I’ll stick to the job and the blogging gig. D- Haha. Good call! What piece of advice would you offer authors who are just starting out? B- Reach out to reviewers. We love to read new authors. And if they like your work, you will have a great cheerleader for future projects. But make sure that they read your chosen genre. Don’t expect a romance fan to give glowing reviews to your “zombie cowboy” saga. Just sayin’. D- True. When I started at zero with reviewers, I did it by contacting them like a ‘cold call’, and now I know so many of them like good friends because they gave me a chance and offered support. Which is why I enjoy doing these blogger interviews and hosting reviewers! B- Take a chance on indie authors. I have read some fantastic books from indie authors. It’s a growing part of publishing, and those authors need our support. D- Absolutely. Small publishers are producing some of the most popular stories. It’s not just the big guys anymore, and many ‘Readers’ Favorites’ last year were Indie published and small press. And, they don’t have the resources behind them that the big houses do! Thanks so much for visiting with us, Beckie! I’ve really enjoyed our chat! Beckie and Hubby during his 'bucket list' trip to Mittenvald, Germany! I'm so glad you joined me today, Beckie! I enjoyed getting to know more about you, and I hope readers add your blog to their rounds. I also think you look pretty good with the Captain! 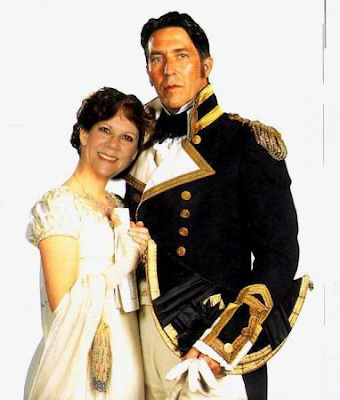 Oh, and stop by tomorrow for a HUGE Austen celebration! Thanks so much for featuring me Debra. This was so much fun! Yes! It had a different feel to it (Persuasion) that I think came from the fact it was one of her latest books. And while I can't recall the actress's name, she was the perfect Anne, IMO. Thanks of following me, Nicole. It means so much that you do! Fantastic interview! I loved meeting Beckie--looking forward to reading your reviews! Ah, Persuasion...sigh. Now I want to rewatch it, too. Nice interview! It was nice getting to know Beckie better. Thanks Andrea! It was lots of fun! Introducing Kim, our newest Inkwell Reviewer! Cover Reveal Party, A Sale, and A GIveaway!